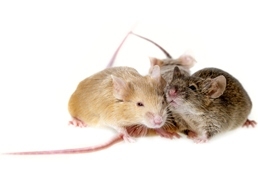 Although cute and fluffy mice can make great pets for kids, you should never allow wild mice to live in your home. Mice can enter your home easily and undetected, as they can fit into holes and cracks 1/4th an inch wide. The longer mice stay in your home, the more at-risk you are for spreading diseases and needing expensive repairs done due to damages. Since mice are extremely aware of their surroundings, DIY traps don’t often work. Mice, like most rodents, have an acute sense of smell and can tell when humans have touched a new object in their environment. If your traps do work, you should still hire a professional to properly remove the rodents from your home. Trust the experts at Critter Control® West Palm Beach to remove any mice, living or dead, from your home. At Critter Control® West Palm, we have years of experience with mice, which means we know exactly how to get them out of your home in the quickest and safest way. Not to mention, we’ll even clean up after any of the messes they may have left. To learn more about the services we can offer you, or to set up your free consultation, call us today at 561-274-0224.